We are all very aware of how underfunded the NHS is. Recently, to help reduce costs, the availability of IVF treatment on the NHS has been restricted or halted in 13 areas in England creating something akin to a postcode lottery. This move has sparked a debate about IVF, associated costs, its necessity and possible long term environmental impact. One of the voices in this debate belongs to Sirena Bergman who wrote an article for The Independent in which she argued against IVF being offered on the NHS. 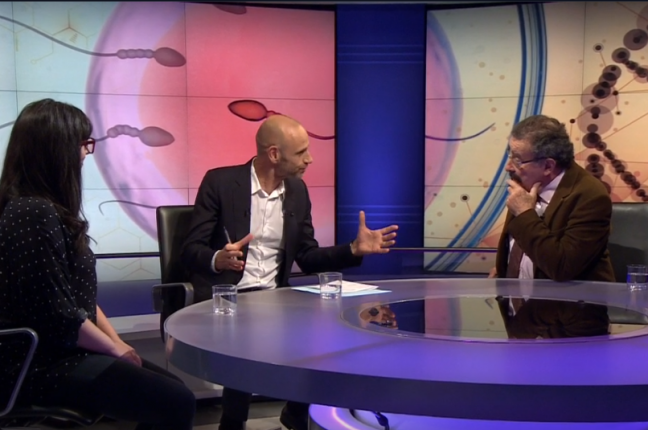 Last night, she joined Professor Robert Winston and Evan Davies on Newsnight to discuss IVF, the cuts and the surrounding issues. When Sirena suggested that adoption could potentially be a solution to IVF, to which Professor Winston replied “people who are infertile suffer hugely” and “adoption is not a treatment for fertility” for “infertility is a symptom of a disease and there are at least a hundred causes of infertility”. He also draws her attention to how different NHS Trusts cost the treatment. For some it is as little as £1000, whilst in others the costs reached £6000.